Michael Kenwood Lippert is a founding member and resident artist with The Human Race Theatre Company in Dayton, Ohio. As a member of Actor’s Equity Association, he most recently appeared as Mark Rothko in RED at the Human Race. Other credits include the Midwest premieres of Sunset Limited and Robert Johnson: Trick the Devil as well as leading roles in The Drawer Boy, Picasso at the Lapin Agile, True West, Speed the Plow, The Elephant Man and Orphans. In 2011, Michael received the Ohio Arts Council’s Governor’s Award for Arts in Education that recognizes life-time achievement in the arts. Michael serves both as Muse Machine’s Director of Elementary Programs and as a Program Artist. 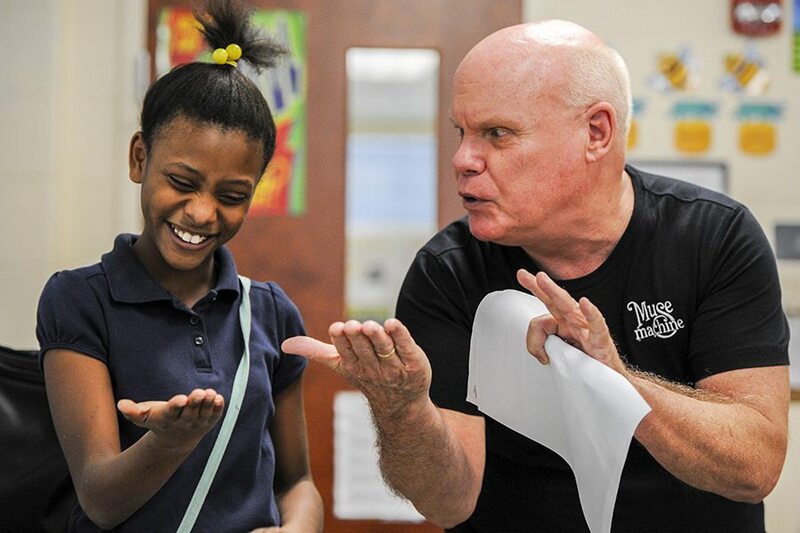 He works with teachers and students in early childhood through sixth-grade classrooms to explore the elements of live theatre and how they can be used to explore and communicate specific concepts in Ohio’s New Learning Standards. Through hands-on sessions teachers and students experience the creativity, energy and discipline of creating live theatre. The students then use the art form of theatre to create original performance pieces that allow them to communicate the curriculum concepts they are working to master. The students using the classroom teacher as the academic expert and Michael as the theatre expert write these original theatre pieces. Each residency results in a public performance to provide the students a public forum to communicate what they have learned and created. The performance also allows parents and administrators to witness an amazing new level of excitement about learning!